Commercial Garage Doors, Gastonia | Doors by Nalley, Inc.
We have been servicing commercial garage doors in the Gastonia, NC area since 1990. Commercial Garage Doors in Gastonia – If you are looking for service provider for your commercial garage doors in the Gastonia, NC area look no further. At Doors by Nalley, Inc., we have been servicing commercial garage doors around the state since 1990. Our locally owned business prides itself on providing dependable, quality services and products to our customers. We have experience in industrial and commercial garage doors and are committed to excellent customer service. 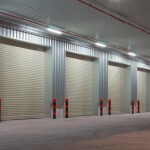 Commercial Garage Installation – Commercial garage door installation is one of our specialties. We can install garage doors of any height or size. We are a CHI Overhead Door preferred dealer and offer the LiftMaster brand, as well. We also install custom garage doors, so if you have a specific need, we can help you find the perfect solution. Our installation technicians are trained professionals and will make sure your door is operating at maximum performance. Commercial Garage Maintenance – Our preventative maintenance program will keep your garage doors operating as they should at all times. We offer a 10-point inspection and provide a garage door tune-up. Requesting routine maintenance for your garage doors will prevent costly repairs in the future. Call our office to discuss a maintenance plan for your garage doors. 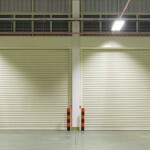 Commercial Garage Repair – We repair commercial garage doors in Gastonia, NC and the surrounding areas. Our expert technicians will get your doors back in working order quickly and efficiently. We use Chamberlain commercial garage door parts and openers to provide you with the best quality. We are available 24 hours a day, 7 days a week, so you can call us in emergency situations. 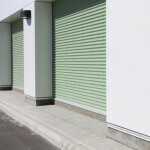 Our commercial garage door parts will be installed by professionals who recognize the special tricks and nuances that come along with the various brands and makes of commercial garage doors. Here at Doors by Nalley, Inc. we offer only the highest quality commercial garage doors for our customers in Gastonia, Mooresville, Charlotte, Hickory, Statesville, Denver, Huntersville, and Lake Norman, North Carolina! To receive a 5% discount* on your entire work order, please use the website request form and mention this offer. *5% discount applies to your entire invoice. Taxes extra and are calculated by county. Cannot be combined with other offers. Applies to website inquiries only. About Doors by Nalley, Inc.
Our regular office hours are from 8am to 5pm Monday through Friday, but we are always available – 24 hours a day, 7 days a week – for any of your emergency garage door needs. We have five convenient locations from which we are able to serve a wide geographic area, including Mooresville, Gastonia, Hickory, Huntersville, Statesville, Denver, Lake Norman, and Charlotte, North Carolina. We promise to provide the personal service and quality products you deserve! 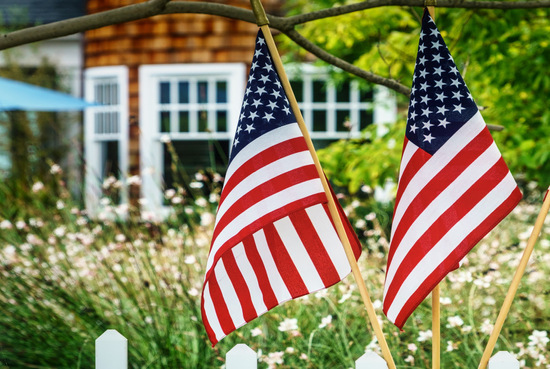 10% Off Our Services for Military, EMS, Firefighters, and Police! Call Now to Book Your Appointment! What are Fire Rated Doors? 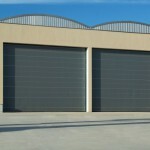 For any of your emergency residential & commercial overhead door needs.